TOWCESTER TAXI AIRPORT TRANSFERS 01908 263263 RELIABLE ROAD TAXI TRANSPORT: London Taxi Trade Needs To Act Now, If We Are Not To Become Slaves To The App...by Lenny Etheridge. 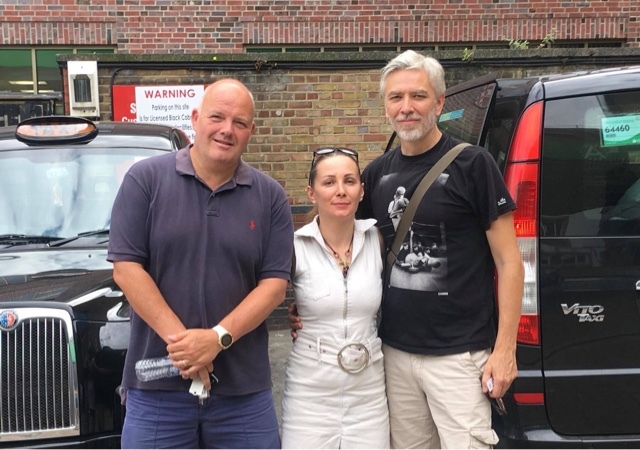 London Taxi Trade Needs To Act Now, If We Are Not To Become Slaves To The App...by Lenny Etheridge. 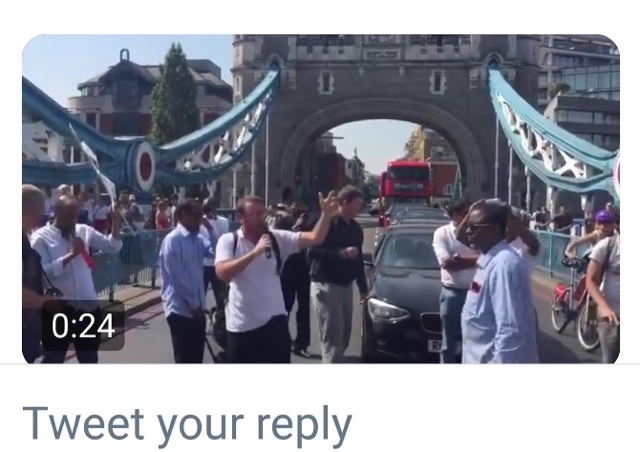 (The post above states "Drivers Today Protesting On London Bridge"... Picture is of course 'Tower' Bridge, typical Uber....pesky satnavs). The significant problem with 'unregulated' apps is they will eventually dictate all work. When a minicab driver applies to an office for work, the office may stipulate "We only have vacancies for day men." - dictating when you work. They might 'let you go' if you don't cover enough work for them. They might discriminate against a driver who doesn't do enough jobs that are not financially viable. A minicab office 'employed' drivers who covered work. And drivers worked for minicab offices that provided plenty of work. A traditional minicab proprietor balanced the amount of drivers against the amount of work available. Uber does the opposite of capping. It floods the market with drivers, as it has in London where it has saturated the Private Hire industry. So Uber's 40k drivers have to scavenge over work which can only feed at most 15k. We must make sure ALL apps (including Taxi apps) are regulated, if we don't want to become glorified Uber whores! A few years ago Hailo made the statement that their biggest enemy was the street hail. 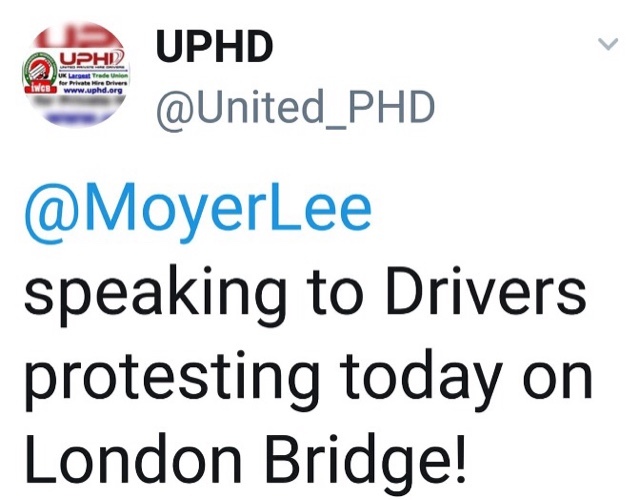 Note: UPHD stands for United Private Hire Drivers. Who can forget Uber's last protest to TfL, where 250,000 (unverified) signatures, were delivered to the wronge building by protesting Uber drivers. London Taxi Driver/Photographer Terry Gibbons (above right) has an eye for pictures. Terry carries his camera in his Taxi, incase something inspires him. His work is so good, that he's just been featured in an exhibition at the Oxo Tower.